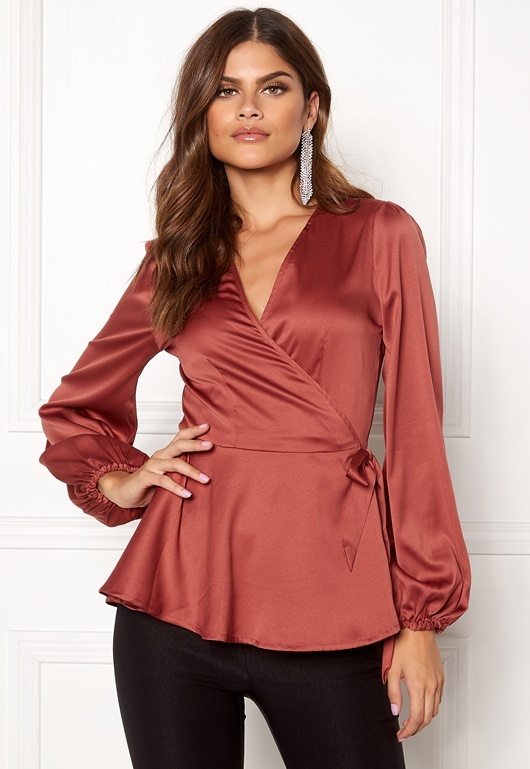 Cute blouse with balloon sleeves and tie at the waist, from BUBBLEROOM. 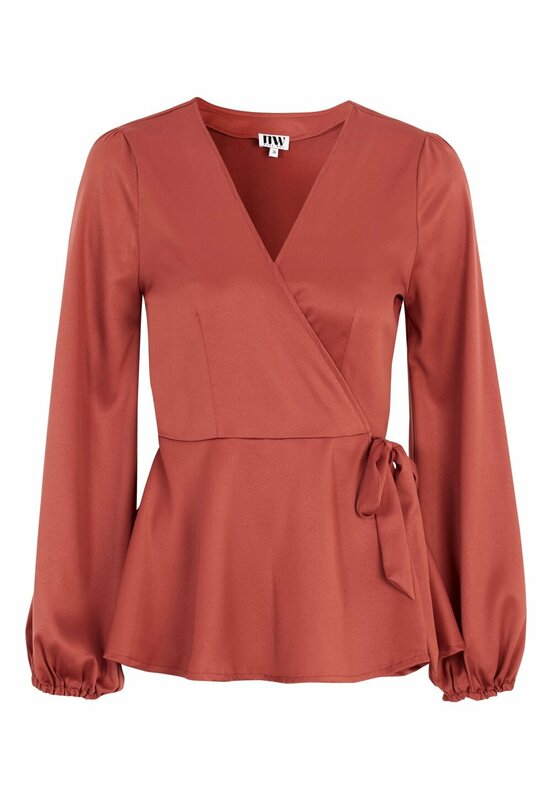 -Made with unelasticated quality that falls beautifully. - Somehwat shiny quality, which makes the garment feel luxurious.